Simply put, henna is a plant. The leaves and stems of the henna plant produce a natural red dye that is used to stain the skin. 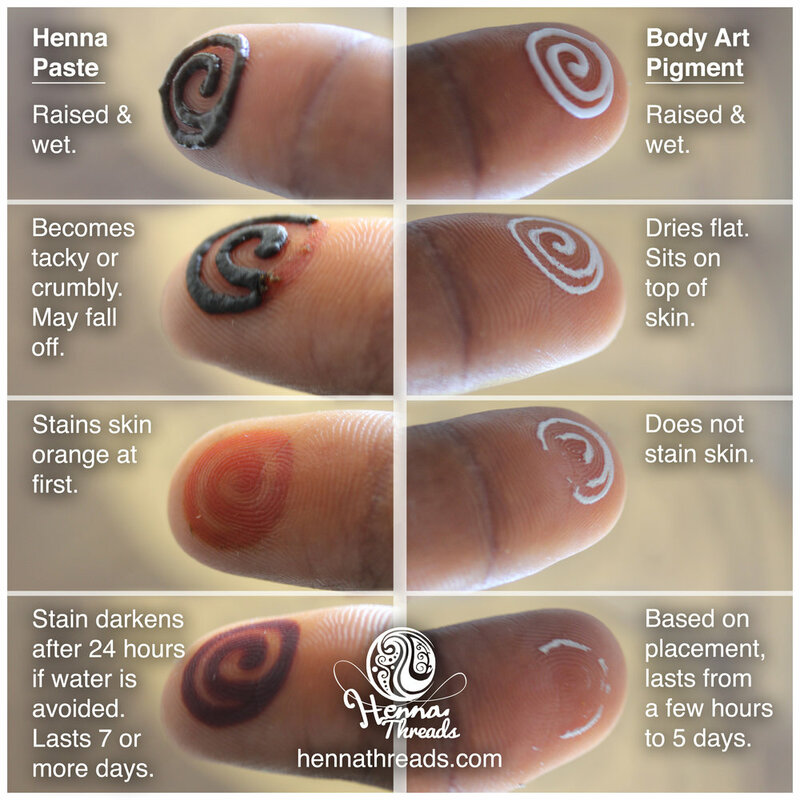 How long do henna stains last? Henna stains last for a week, usually. Am i too dark for henna? No. Your complexion has little to do with the henna staining process. "White henna" isn't actually henna at all. Why are Henna stains lighter in some areas? 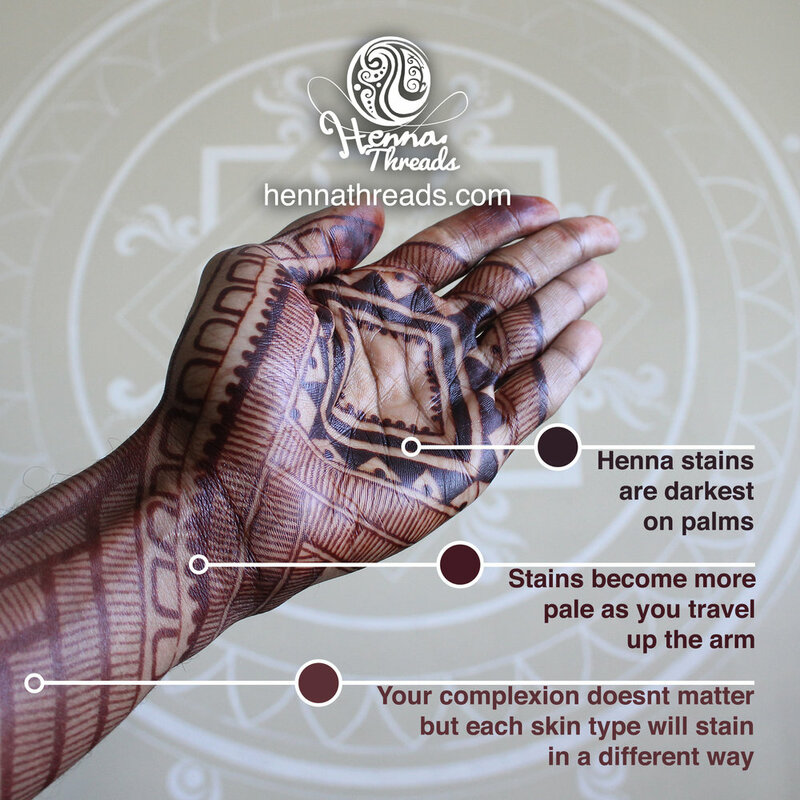 Henna stains tend to last longer and get darker on thick-skinned areas, such as palms and heels. DOES HENNA COME IN DIFFERENT COLOURS? No! The henna plant only produces red dye! If it's not red then it's not henna. However, there are other natural body art products that come in different colours, such as jagua. 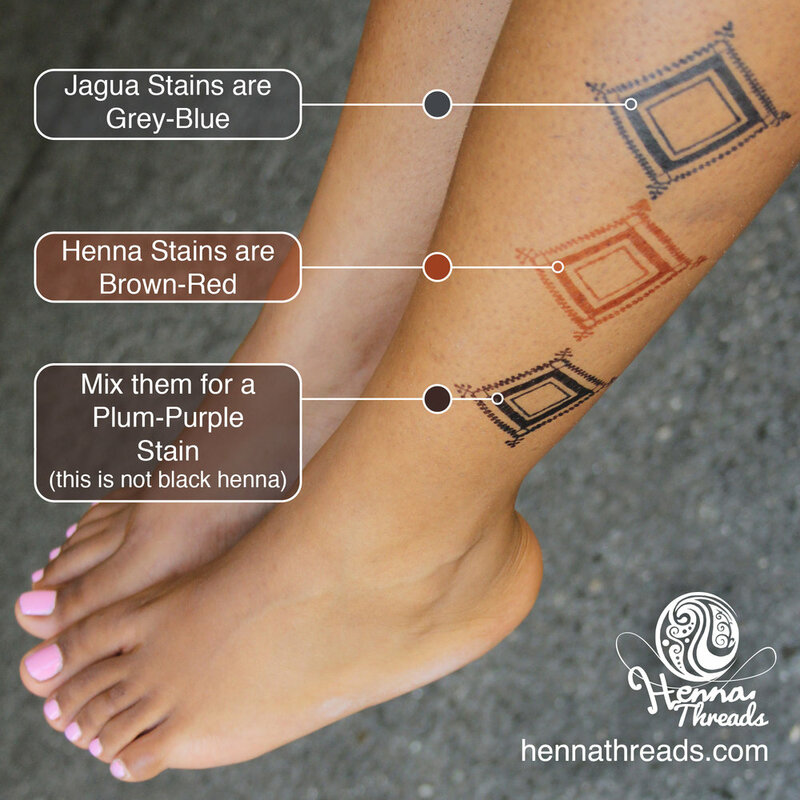 Jagua stains are dark blue, usually. Can you mix jagua and henna? Yes! Mixing the two will give a darker stain than using just one.